Toby Duthie is a founding partner of FRA and head of its UK and European offices. He has more than 20 years’ experience in financial analysis, complex financial modeling, investigations and compliance reviews. Fluent in English and German, Toby has particular expertise in multi-jurisdictional investigations, anti-bribery and corruption compliance testing, and specializes in matters of government enforcement especially in the UK and US. 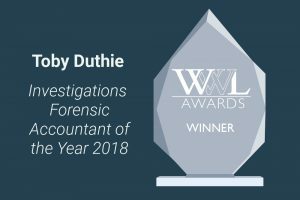 Toby won Investigations Forensic Accountant of the Year 2018 at the Who’s Who Legal (“WWL”) Awards and is recognized in WWL Investigations, Consulting Experts, Thought Leader and Global Elite. 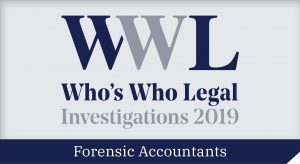 One lawyer comments in WWL that “he is the most articulate financial expert [they] have ever retained” and another source described him as “tremendously impressive, he knows all there is to know about FCPA enforcement”. Toby has worked on many complex financial frauds and bribery investigations which have involved disgorgement and fine calculation analysis and modeling in many jurisdictions, including the US, Japan, Austria, and the UK, with the most recent including the Rolls-Royce £671m DOJ, SFO and Brazilian settlement, the $521 million Teva Settlement and the $328 million SBM Offshore DOJ settlement. 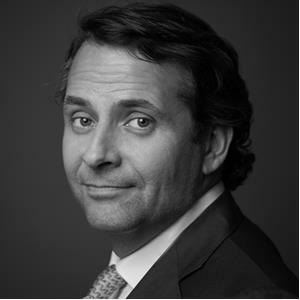 As one of FRA’s founding partners, Toby was instrumental in developing the firm’s white-collar and regulatory defense services across Europe and has been integral in resolving such high-profile FCPA enforcement cases going back to 2004 including Innopsec, Panalpina, Total, Technip Bonny Island LNG, and the Diebold FCPA monitorship. He has worked on matters involving UK, Swiss, Dutch, and French regulators and has extensive experience calculating damages in FCPA enforcement actions. He has worked on four of the ten largest FCPA settlements. Toby has further worked on some compliance monitorships involving the natural resources and IT sectors.